Advancements in mobile technologies have come a long way in recent years. When geo-location features first emerged on the scene with the introduction of Foursquare, Facebook and Yelp check-ins, industry analysts were skeptical about consumers broadcasting their locations and were uncertain about avenues for monetization. Despite these reservations, mobile geo-location has found a firm foothold in our social lives and has created an industry primed to help bridge digital communications with brick-and-mortar retail. In December of last year, Apple debuted its iBeacon technology at its flagship store on 5th Avenue in Manhattan to give shoppers the ability to receive customized messages about discounts, products and events available at that specific Apple Store location. And last week Duane Reade, the largest drugstore chain in New York City released the first update to its app for iPhone including the integration of iBeacon for 10-select Duane Reade locations active as of May 1. The technology behind iBeacon is quite unique to the retail world. 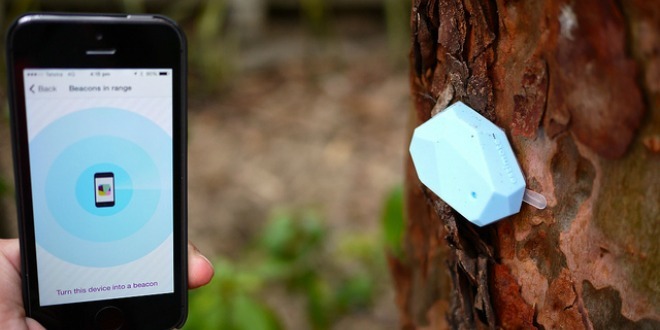 iBeacon is a technology Apple introduced with iOS 7 that uses Bluetooth Low Energy and geo-fencing to provide apps a new level of micro-location awareness, such as trail markers in a park, exhibits in a museum or product displays in stores. The inclusion of this technology to the Duane Reade app adds features such as lock screen notifications when initially approaching a select Duane Reade store location, coupon offers based on historical data and product reviews for timely content at the point-of-decision. iBeacon will initially be available at 10-select Duane Reade stores in Manhattan to test the viability of a further rollout. Similar to the Duane Reade implementation, the location-based retail technology company Point Inside utilizes a different brand-centric app approach to help retailers curate a highly personalized shopping experience for consumers. By utilizing Point Inside’s StoreMode mobile technology, large retailers like home improvement chain store Lowes are able to integrate features into their mobile apps to give consumers the ability to scan barcodes to build shopping lists, find nearby Lowes stores and even navigate people to the specific items then need in a particular store they visit. A recent study released by mobile marketing company Swirl and independent marketing research firm ResearchNow that surveyed over 1000 consumers, 77 percent of respondents said they’d be fine with sharing location data in exchange for something valuable like a mobile coupon or digital offer. Swirl also found that 65 percent of consumers indicated they trust retail brands over general shopping apps and social platforms such as Google or Facebook when it comes to location data. Point Inside expects that the line between in-store and online will continue to blur as retailers emphasize a seamless experience across all platforms. The company is already seeing a number of retailers actively re-assessing their current online experiences, which are presently designed as an endless aisle separate from any awareness or acknowledgement of stores. The rapid increase in smartphone app and mobile web usage is producing a dramatic re-orientation of online with store features, including product discovery and location integrated to the web. 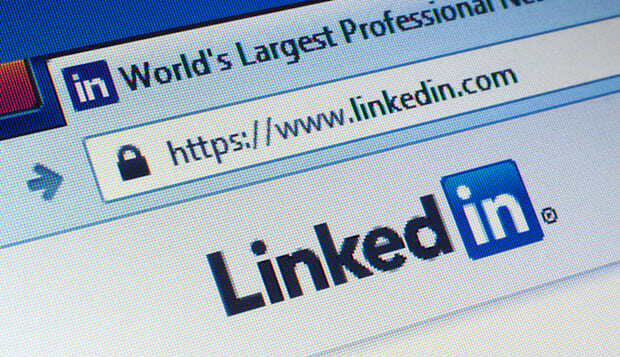 Only 50.5% of users have ‘complete profiles’ as defined by LinkedIn. That’s right. Only one out of two users have set up their profiles properly. That means, half of the users aren’t getting the results they would like (i.e. calls from recruiters about better job opportunities), because they haven’t taken the time to understand what should be on their profile. The majority of LinkedIn users are in 10 or more groups. 10.4% of users are a member of the maximum 50 groups. When you are in groups, you can access peers who are part of your industry, skill set, geographic area, etc. without feeling silly. Groups make networking so much easier than having to start a conversation with a total stranger. Number of new LinkedIn members is 2 per second. With so many people joining, it’s only a matter of time before the professionals you most want to connect with have profiles. This gives you the ability to drop geographic and job title boundries so you can make new career connections all over the world. Most used adjective in LinkedIn profiles in 2013 = responsible. Knowing what words to avoid on your profile can help you not look like everyone else. Plus, studies show overused subjective words in your profile are a total turnoff to recruiters. Percentage of Americans that use LinkedIn during work hours = 8.33% Studies show most people are accessing LinkedIn early in the morning (8-10am) and later at night (5-8pm), which can help you determine when to post things in your feed to attract attention to your profile, helping you earn the respect and trust of your connections. Total number of LinkedIn endorsements = 1 billion. Endorsements are used to help LinkedIn decide who should show up in the top of search results within their platform. The more endorsements you have for a particular skill set, the more views you’ll get of your profile. Number of LinkedIn users in the U.S = 100 million. That’s a lot of professionals you could be connecting with. Remember, EVERY job is temporary. Starting to build your network after you lose the job is poor planning. How many people use LinkedIn = 300 million. Going global is our new reality. As Disney says, “It’s a small world after all!” We need to make connections in other parts of the world to expand our knowledge an cultural awareness. The biggest group (47.6 percent) only spend between zero and two hours on the network per week. Only 10.5 percent of users spend more than eight hours on LinkedIn per week. Even though almost half of LinkedIn users only log on a couple hours a week, it still gives us a chance to connect with those in our space that could enrich our network. Besides, like all popular social media tools, the amount of time people spent on it will increase. I’m certain LinkedIn is focused on building future functionality to ensure that. LinkedIn is now responsible for a staggering 64 percent of all visits from social media channels to corporate websites. In contrast, Facebook accounts for 17 percent of such visits, while Twitter is just 14 percent. Businesses are realizing the HUGE potential LinkedIn has to drive consumers and potential hires to their sites. Not understanding how LinkedIn will play a future role in your company’s success is short-sighted. Top level executives primarily use LinkedIn for industry networking (22 percent) and promoting their businesses (20 percent). Middle management professionals primarily use LinkedIn to keep in touch with other people (24 percent) and industry networking (20 percent). Entry-level employees primarily use LinkedIn for job searches (24 percent) and co-worker networking (23 percent). Understanding how people at different levels in their career are using LinkedIn can help us manage our own efforts better. From designing our profile, to reaching out and asking strangers to connect, it’s important that we realize how others are using LinkedIn and leverage that knowledge to our advantage. 41% of people now report 500+ connections, up from 30% in 2013. Of course this number should continue to rise over time; however a full 15% now have more than 1,000 connections, which is nearly double last year’s result of only 8%. Thinking about the theory of “six degrees of separation,” it’s only a matter of time before you can connect with anyone you want – BUT only if you have developed your network to a size where you can tap into the power of 2nd and 3rd-level connections. Posting individual status updates as a favorite feature rose 10% to 39%. LinkedIn users are contributing more via long and short posts, comments, etc. This helps you to better understand each professional. You are what you contribute. Joining in the conversation gives you the chance to deepen your connections. Like it or not, social media has taken over our career development. We must engage in tools like LinkedIn if we want to stay employable and reach our professional goals. Better to invest time each week now, then to be viewed as someone who is out-of-touch. Do you really want to be the person playing “career catch-up” when others are reaping the benefits of their LinkedIn mastery? Don’t get left behind. Do you know the new social platform Pinterest? Vous voulez cibler un public féminin, la plateforme sociale Pinterest devient un incontournable. dans le monde. Il est devenu le troisième réseau social où les Américains passent de plus en plus de temps, devant Twitter. Do you know the value of virtual customers? How many times has a prospective customer written the keywords of your service offered on the Web? Your virtual SME, that is, your website could obtain more than 100 visits a day. This is the kind of action that would make any entrepreneur sit up and pay attention! The staging business is a term that comes from the concept of home staging real estate. It is a strategic enhancement of your business to maximize its value and make it more attractive to a buyer. We believe that effective corporate growth and inexpensively through the use of web solutions. Business development and marketing company changed its 5 many years. The advent of the Web and social media have maximized sales of several companies that have achieved this technological shift. In addition, prospective buyers of your company are in principle the generation X or Y, and for them a company that has failed to adapt its business model with web solutions become unattractive for them. Our expertise is to make this transition easily and efficiently with your business web solutions and demonstrate effective sales growth. Select group of entrepreneurs seeking new business opportunities. Le Bureau Coordonnateur Ahuntsic coordinates places for children received services in childcare for the area served by the CLSC Ahuntsic. Located in Repentigny, Lavage Expert is specialized in the field of architectural safety.